FESTIVAL: You never know which surprise acts will appear on the bill for Rebel Salute, the annual two-day festival , which kicks off the music calendar with a jolt of euphoric roots-reggae merriment. 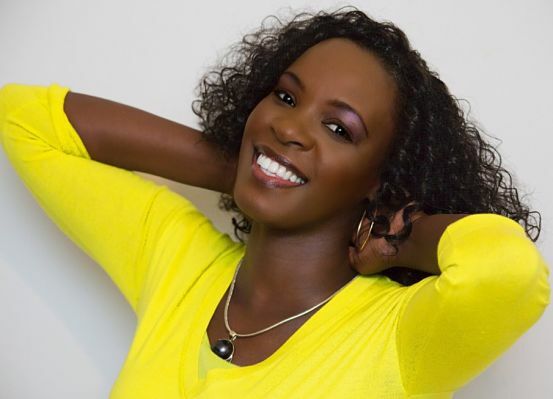 For this year’s staging (the 25th anniversary staging), gospel stalwart Glacia Robinson is among the top acts co-headlining the event, set for January 12 and 13 at Grizzly’s Plantation in St. Ann. 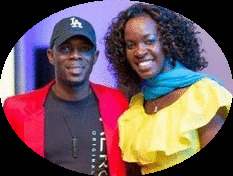 Robinson is joined on the lineup by fellow seasoned songstress JC Lodge for the festival’s opening night. Jesse Royal, Third World, Richie Spice, Agent Sasco (among others) are also set to grace the stage. 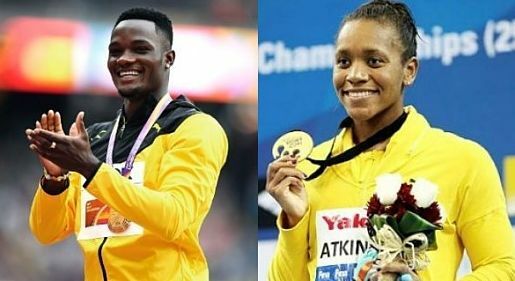 On the 13th, the likes of Freddie McGregor, I-Octane, Sanchez, I-Wayne, Romain Virgo and Queen Ifrica will perform for the patrons who are expected to turn out in their hundreds. Visit rebelsalutejamaica.com for details. 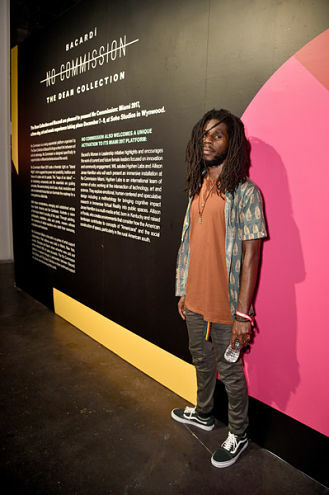 EXHIBITION: A new art show within the hallowed walls of the National Gallery of Jamaica is always cause for some rejoicing. 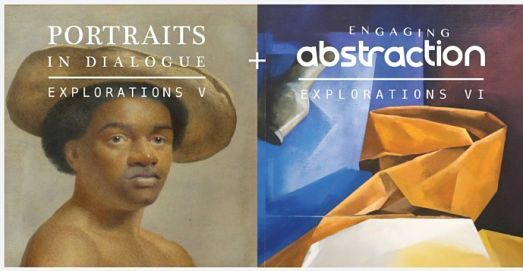 On the heels of the Annabella & Peter Proudlock Collection and ‘We Have Met Before,’ this season brings “Portraits in Dialogue” and “Engaging Abstraction”, currently on view at the downtown Kingston-based art space. The displays will form the centrepiece of this Sunday’s ‘Last Sundays’ presentation (11am to 4pm) at the gallery – the final one for the year. Free admission and free guided tours. The Nexus Performing Arts Company will give a performance starting at 1:30pm. For more information call 922-1561. MUSICAL THEATRE: Prolific playwright Michael Holgate continues to add to his impressive body of work. 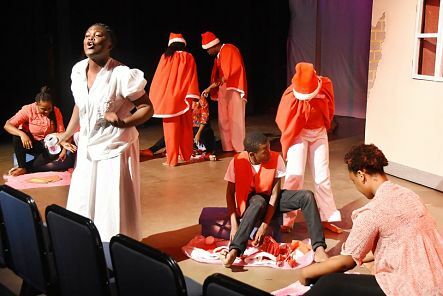 After last season’s showstopper Garvey: The Musical, the writer-director turned his gaze to present-day socio-economic woes and youthful angst mixed with archetypal star-crossed lovers motif in crafting Forbidden Fruit (with co-writer Trudy Bell). 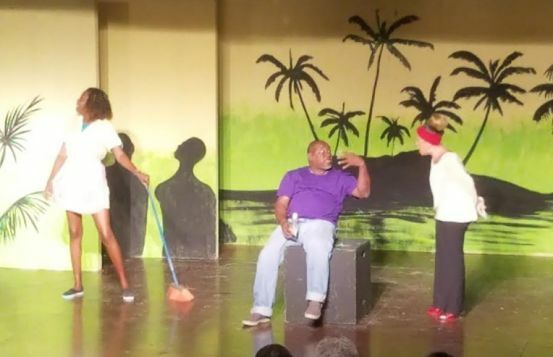 The musical production, performed by a sizeable cast (including Ashé members), recently played to strong reactions at the Courtleigh Auditorium in New Kingston, under the auspices of Fi Wi Jamaica in partnership with USAID. 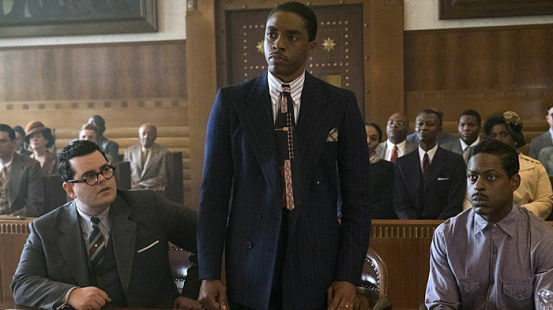 Along with Bell, Holgate’s creative team included musical composer Mikey Bennett, costume designer Conroy Wilson, choreographer Patrick Earle, communications consultant Fabian Thomas and performance coach Philip Clarke. No word yet if the production will get a lengthier run to benefit those theatregoers who missed it at the Courtleigh. FACING FORWARD: With the aim of accelerating the digital agenda and existing digitization policies for 26 countries in the Caribbean and Central America, Digicel has teamed up with Cisco, a worldwide leader in modern technology, for The Frame Agreement. Under this agreement, the two companies will collaborate to develop a digitization vision for each country for both the immediate and the long term, creating a pipeline of projects for the future, including infrastructure enhancement and island recovery. 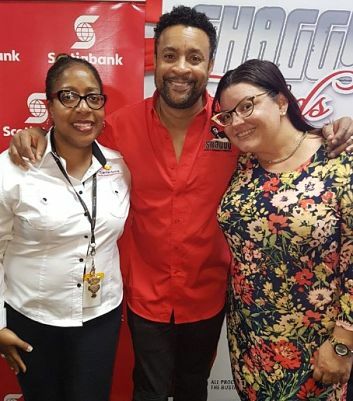 “Digicel and Cisco share the mutual goal of helping the region become more efficient and globally competitive through digital transformation,” says Vanessa Slowey (left), CEO of Digicel Caribbean and Central America, pictured here with Cisco's Alison Gleeson. 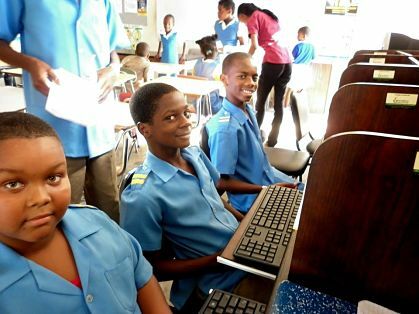 “Digicel will focus on projects in the Caribbean that are aligned with Cisco’s country digitization agenda and will partner to develop these projects in specific Caribbean countries.” Anguilla, Antigua & Barbuda, the Bahamas, Panama, Trinidad & Tobago, St. Kitts & Nevis and Jamaica are among the territories set to benefit. 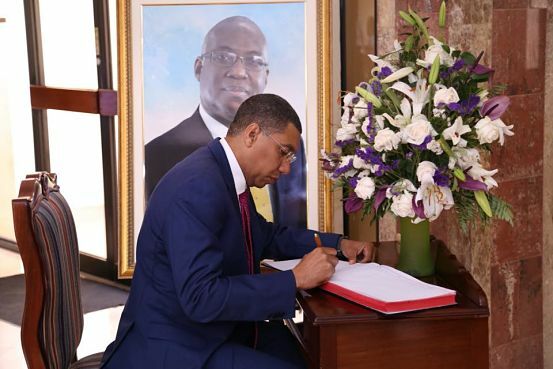 ONE OF A KIND: PM Andrew Holness signs a condolence book in honour of Ian Boyne at Jamaica House. IAN Boyne passed away at the University Hospital on December 18 at age 60, so naturally I’m remembering our first encounter – at the launch to celebrate his second book, Ideas Matter, at King’s House. November 2014. Boyne was dumbfounded when he heard that I was the sole writer/editor producing articles for TALLAWAH. His mouth fell wide open when I confirmed that yes, it was all me. 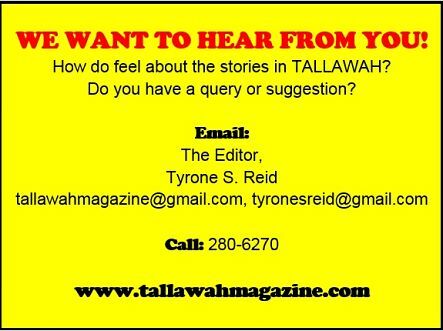 He was, of course, familiar with TALLAWAH because I made sure to add him to the mailing list when I was just starting out, so the newsletter went to his inbox every week. A few years later, I was pleased to receive an invite in my inbox from his publishers (Pelican Publishers) requesting coverage for the book launch. Everyone was there, from government officials and corporate-world icons to relatives, friends and well-wishers. Boyne attracted the best of the best. He was a man of great accomplishments, and achievement was something that he in turn loved celebrating. 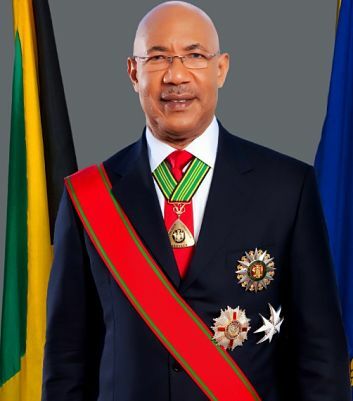 After all, he dedicated his popular Sunday evening programme, Profile, to spotlighting outstanding Jamaican success stories he’d come across or were brought to his attention. 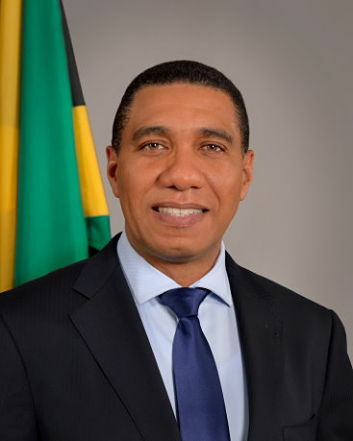 His ‘applause’ was vociferous and his give-and-take interview style yielded the most revealing half-an-hour segments on Jamaican television. That programme will be sorely missed. In his book Profile of Excellence, Boyne outlines in lush detail the strategies and principles that have always guided his life. It is essential reading for every Jamaican, youngsters especially. Profile of Excellence is a bonafide pageturner, and you get a firm understanding of how he became the stalwart he became – not to mention some of the most insightful, motivational one-on-one interviews you’ll ever read. 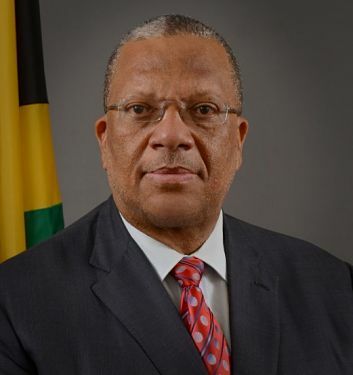 It’s part of the storied Ian Boyne legacy that must be preserved for future generations. 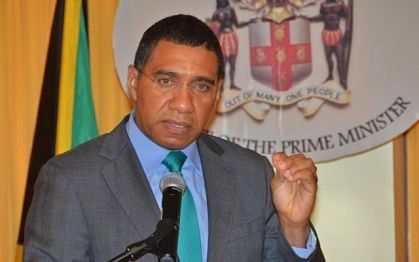 Coupled with Ideas Matter (another must-read), it captures the measure of this fascinating Jamaican man. THERAPY & TRANQUILITY: There’s hardly a better time than the holiday season to treat yourself or your significant other to a spa treatment. Just in time for Christmas, the New Kingston-based Adam & Eve Day Spa has launched their Grab & Win promotion, complete with special service packages at competitive prices. 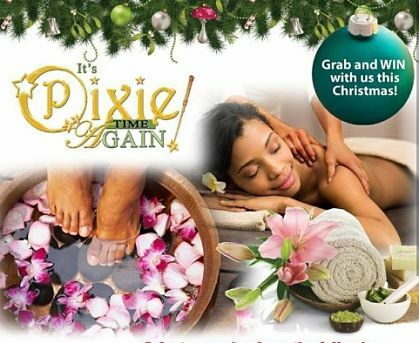 Their ‘Pixie’ packages, perfect for gift certificates, starts at $3000 (manicure / repolish fingers and toes), $4000 (coffee pedicure / stress relief massage / shampoo and style /male grooming and classic manicure), $5000 (upper body massage / paraffin pedicure and repolish fingers), $6000 (spa mani-pedi or body scrub or Adam & Eve Signature Back Massage). The ‘Love’, ‘Joy’ and ‘Peace’ packages are equally appealing, with price tags from upwards of $6,300. Our favourites include Santa’s Pick (upper body massage and classic pedicure / mini facial and classic pedicure), Couples Retreat (therapeutic massage / deep pore facial / coffee scrub mani-pedi) and Serenity (a 30-minute Swedish massage, a 30-minute refresher mini facial and a 30-minute classic mani-pedi). “Bear in mind that this is our 10th anniversary, so we’ve reintroduced our VIP cards, offering discounts,” says Customer Relations rep Marja Hamilton. “We also have our in-house grab bag, where every 10th customer gets the opportunity to pull from the grab bag and get gifts from our reward sponsors.” Adam & Eve Day Spa is open seven days weekly. Visit adamandevedayspaja.com or call 906-8276/4151. SKIN TO SKIN: There’s a new star in the beauty aisle! 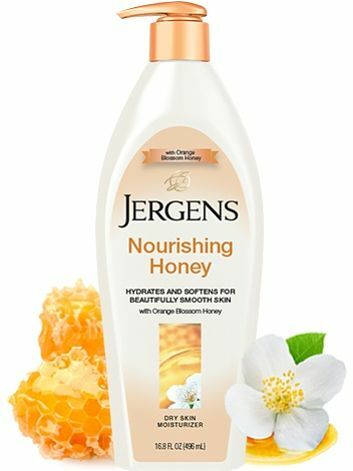 Introducing the new Jergens Nourishing Honey Dry Skin Moisturizer, formulated with antioxidant-rich Orange Blossom Honey. Its manufacturers boast that it nourishes and softens dry skin and keeps it smooth and hydrated 24/7. “Its refreshing, citrusy blossom scent livens and invigorates the senses.” The Honey Dry Skin Moisturizer is the latest addition to a line that already includes the Jergens Shea Butter and Hydrating Coconut. 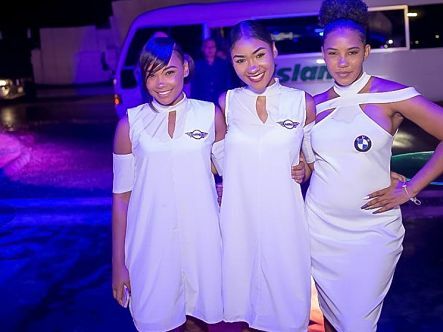 LOOK WE LOVE: Style watchers always give D’Angel high marks for her camera-ready outfits whenever she graces the social scene. 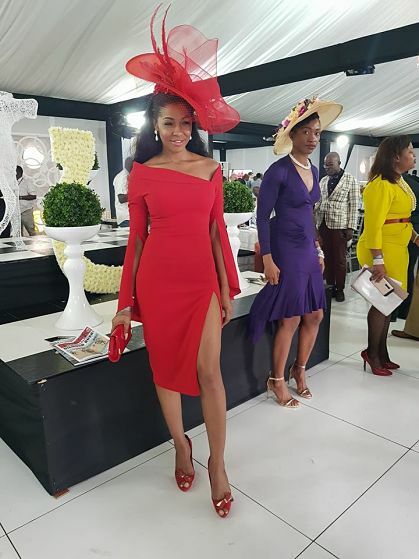 She continued her winning streak at the recent Supreme Ventures Diamond Mile extravaganza at Caymanas Park, turning heads in this ravishing red number with matching headgear that had the shutterbugs directing their flashing lights her way – as they should. Working the look with consummate ease, Miss Downer made it clear that red is definitely her colour! 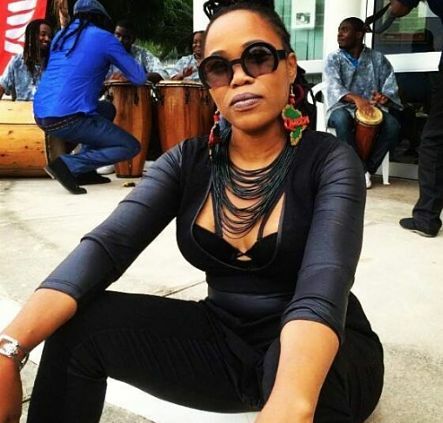 QUEEN IFRICA: Think Queen Ifrica is off pouting somewhere because she didn’t score a Best Reggae Album Grammy nod for Climb? The artist-activist is gearing up for January’s milestone renewal of Rebel Salute and lending her time and star power to worthy causes, like the fight against gender-based violence and child abuse. People are still talking about her electrifying performances at the Peter Tosh Music Festival and Reggae Sumfest 25 this past summer. And after multiple hit singles and solid albums, we are convinced that this queen’s best is still yet to come. 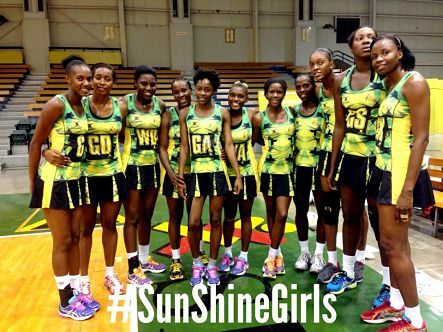 THE SUNSHINE GIRLS: If there’s one thing we learned from the world of sports this year it’s that you can never count out Jamaica’s senior netball squad. In the wake of much-publicized Netball Jamaica controversy, saying farewell to yet another coach and enduring harsh criticism about the team’s level of readiness to take on the best in the world, the Sasher Gaye Henry-coached team got the last word with their sensational performances at the Melbourne-hosted Fast 5 Champs in October, bringing home some shiny silverware and restoring our faith in the national programme. 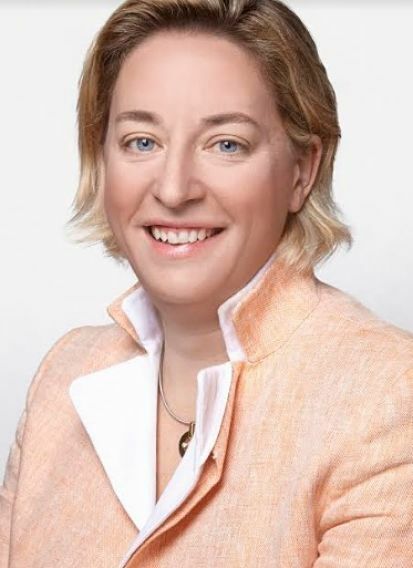 RENEE McDONALD: The Renée McDonald evolution is in full effect and we are so happy to have a front-row seat. 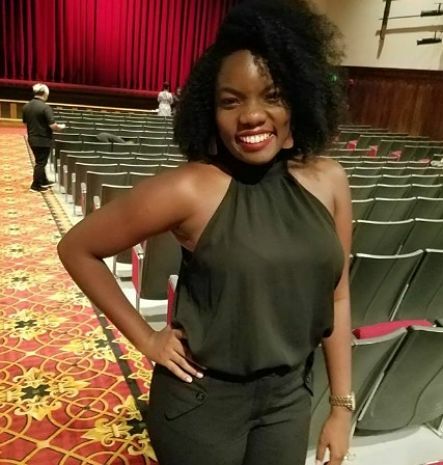 Earlier this year, the incredibly talented dancer-choreographer (who honed her craft at Tony Wilson’s Company Dance Theatre) took her skills to the international stage (choreographing a piece for the Alvin Ailey troupe and brought the people to their feet.) Back home, she pulled off similar successes with brand new works for CDT and Xaymaca. 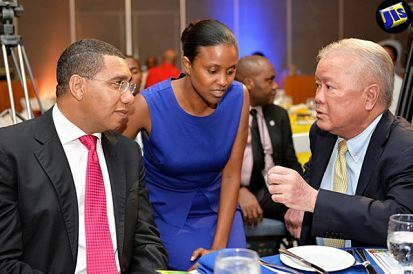 And did we mention that she’s now a lawyer-in-training at UWI? 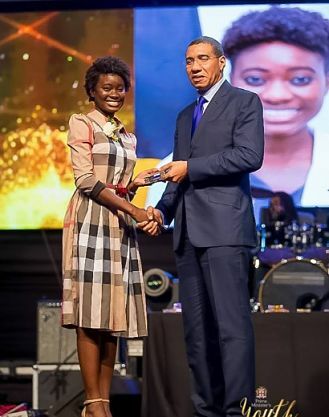 A terrific role model for young people, McDonald (now 24) is the ultimate all-Jamaican girl. 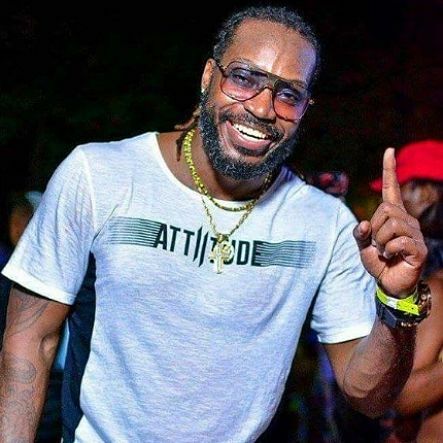 CHRIS GAYLE: Heat seems to follow Chris Gayle, the star Jamaican and West Indies batsman who’s been weathering one storm after another with admirable finesse and professionalism. First, there was ‘Blushgate’ in 2016, and this year brought that infamous accusation from a white female masseuse that had us all wondering, ‘Did he really?’ Stoutly defending his reputation and his character, Gayle has denied any wrongdoing and has refocused his energies on bringing the heat to the cricket pitch. 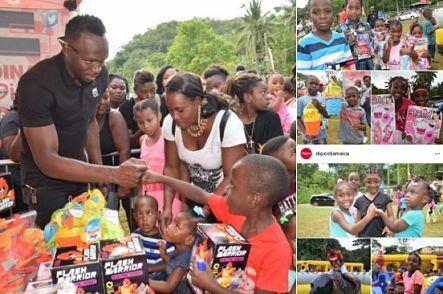 USAIN BOLT: Where do we even begin? The active retirement that had him criss-crossing the globe, The Gleaner’s release of the coffee-table volume Legend, the stadium-rocking exploits in London, the larger-than-life Basil Watson-designed statue mounted in his honour at the National Stadium…? 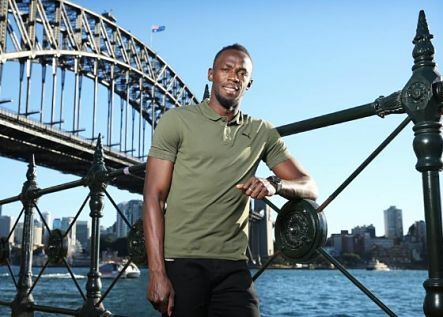 The 31-year-old sprint legend stayed on course for yet another eventful year, full of triumphs and trials and, in true Bolt fashion, big surprises. SHENSEEA: Who’s that girl? 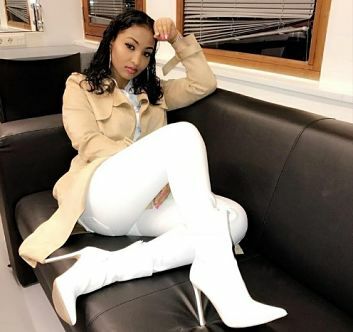 That’s what everyone wanted to know after hearing Shenseea put the music world on notice, opposite dancehall rebel Vybz Kartel, on “Loodi.” Full of sass, super-confidence, and ample sugar and spice, the pint-sized princess is busy making a name for herself in the male-dominated dancehall space, paying her dues and earning respect. Having already graced the cover of Buzzz and lit up the Pepsi Ginger commercial, her star is certainly on the rise. > HONOURABLE MENTION: Miguel Coley & the Jamaica College football team, Dr. Chris Tufton, Wayne Booth, Stephen Francis and Davina Bennett. THE BRIGHT SIDE: The songbird has assembled an all-star lineup for her year-ending concerts. 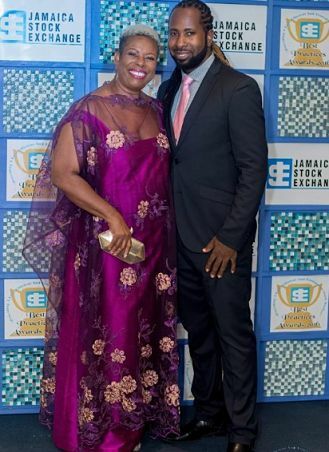 AFTER the memorable year she’s had – crowdpleasing concert appearances, hot new tracks, being one of the last Jamaican personalities to be interviewed by Ian Boyne – there’s nothing Glacia Robinson wants to do more than to show some gratitude and keep counting her blessings. 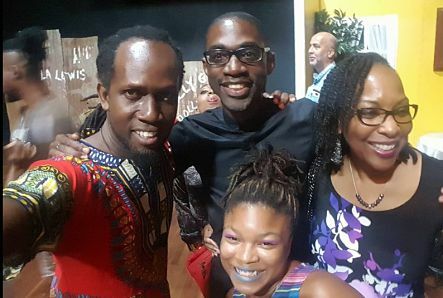 To this end, Glacia Robinson Ministries has teamed up with GT Sounds Ltd to put on The Experience: The “I Rise” Edition, a two-night gospel showcase set to electrify audiences in separate Jamaican towns (Mandeville and Spanish Town) and bring the curtains down on 2017 with some praise-and-worship fire. 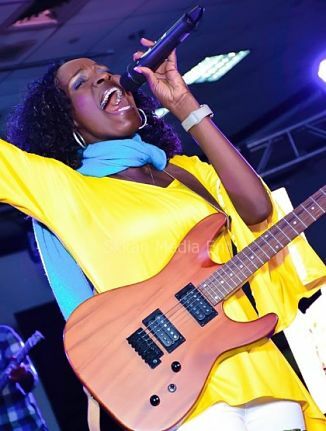 The US-based singer-songwriter, who shot to fame in 1998 after winning the JCDC National Gospel Song Competition, has assembled a bunch of gospel industry A-listers to help her celebrate. Leading the charge are Prodigal Son (who released his latest album, Pure Gold, in October) and Rondell Positive, one of the fastest rising acts to come on the scene in recent memory. At the Mandeville show (scheduled for December 26 at Manchester High), Robinson, Prodi and Rondell (left ) will be joined on the lineup by Keesa Peart, Carey Sales, Shawn Warren, Anointed Musicianz & Singers and Kevin Downswell. The Spanish Town concert (December 30 at the Prison Oval) will feature Praise Academy of Dance, Christina Roshay and Noreta Lewis. 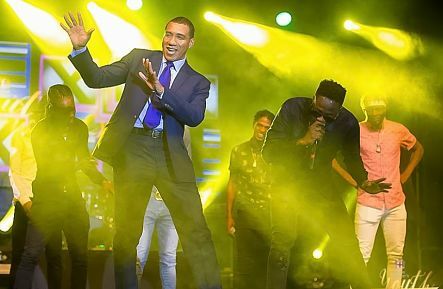 (Only Robinson, Prodi and Rondell are billed to perform at both concerts, being emceed by NCU FM’s Basillia Barnaby-Cuffe and Arnold Kelly. 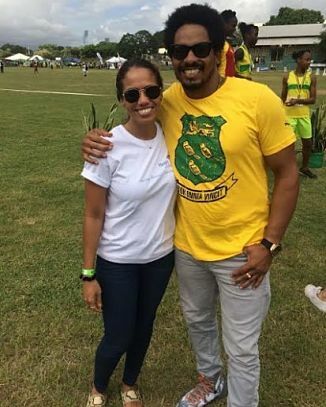 Robinson gave gospel lovers a sneak preview of what they can expect during her brief stint at Monday’s NCU FM praise party inside Mandela Park in Half Way Tree, where she reminisced about her interview with Boyne and recapped aspects of her life-changing testimony. Part proceeds from the concerts, she noted, will benefit the Percy Junor Hospital in Spalding, Manchester. Sponsors for The Experience include Jamaica Broilers, Wata and Bigga. For tickets call 860-0064 or 901-5529.